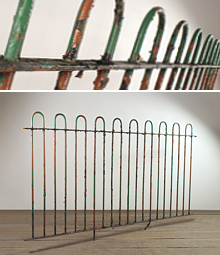 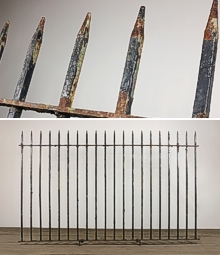 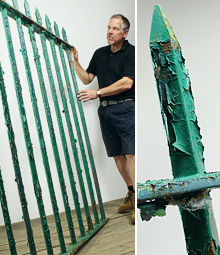 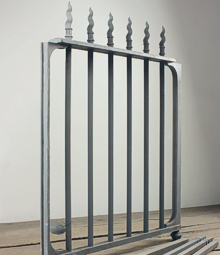 The use of metal railing to provide a fence dates back to the 18th Century in Britain. 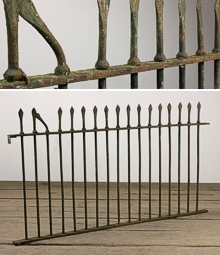 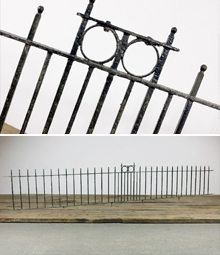 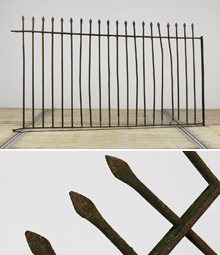 Most of the early railings were quite simple affairs made from wrought iron, such as the 'Estate Railing' seen around many large estates, which comprises 4 to 6 horizontal bars of wrought iron with interspersed vertical struts, these often date back to the Georgian period. 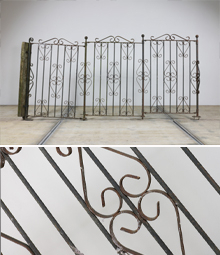 The first recorded use of cast iron for fencing dates to 1710, when ornate railing was commissioned for St Pauls Cathedral. 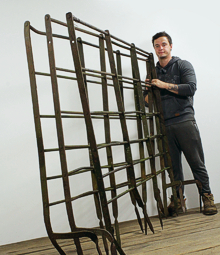 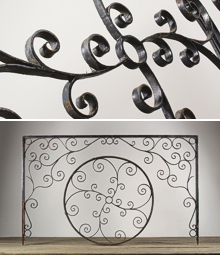 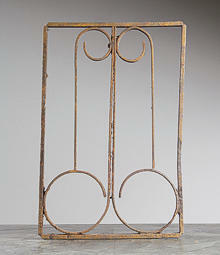 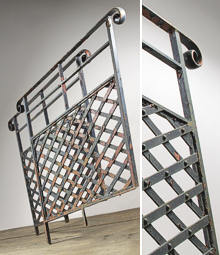 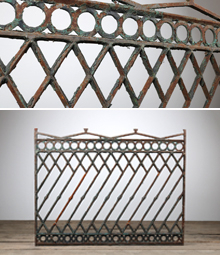 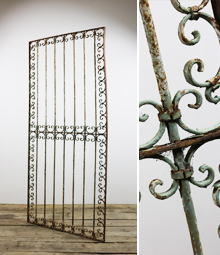 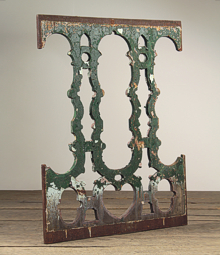 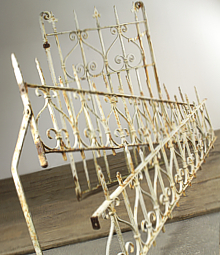 The process of casting iron allows for decorative shapes to be produced relatively cheaply and by the 19th Century most fine houses in the major cities were fronted with runs of ornate railing. 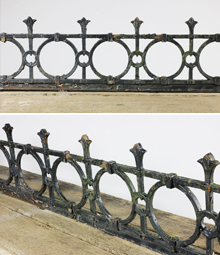 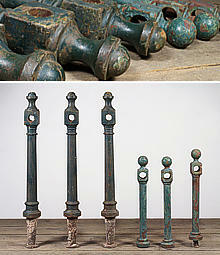 During the Second World some railing was removed in major cities, supposedly to help the war effort. 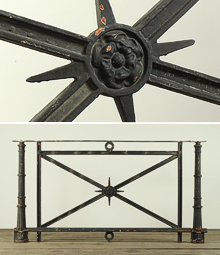 Common patterns of railing include spear topped, fleur de lys, spike topped and hoop topped. 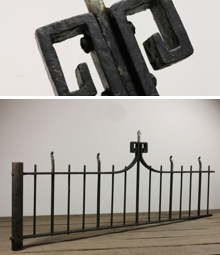 We sometimes get good runs of reclaimed railings, usually of the hoop topped or estate railing variety and these tend to sell quickly. 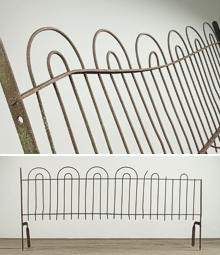 Also popular are short railings, for mounting on top of walls. 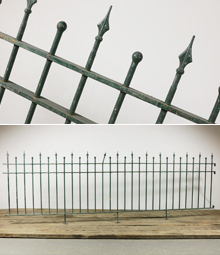 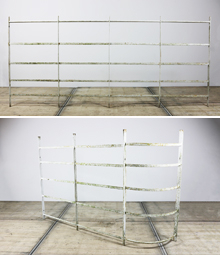 We also sell a lot of decorative railings to interior designers for use in shops, bars and restaurants, these can be incorporated into display racks, partitions and balcony rails.